An all-natural infusion of Mediterranean carobs & aromatic herbs. 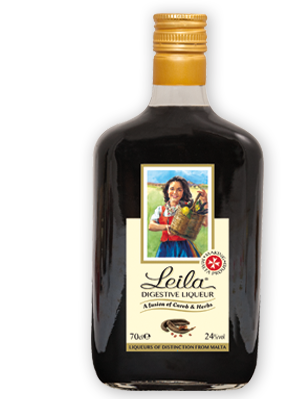 Leila uniquely combines the digestive attributes of carobs with the subtly sweet aftertaste of traditional liqueurs. Mixes well with citrus based cocktails and mixers. 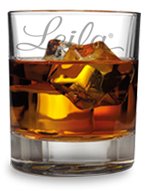 Check out more Leila® Digestive Recipes. 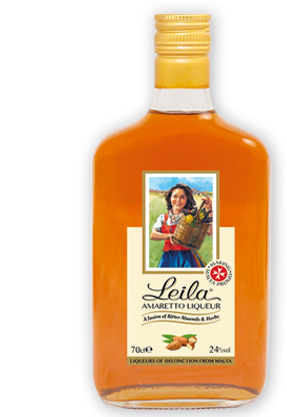 Leila Amaretto Liqueur has a velvety smooth taste and unmistakable aroma of bitter-sweet almond flavours. This liqueur pairs perfectly with cocktails, coffee & shots. 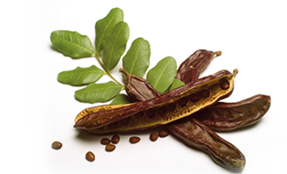 It also enhances desserts compliments chocolate and enhances recipes containing almonds as it brings out the flavor of the nut. Mixes well with cream and coffee based cocktails. 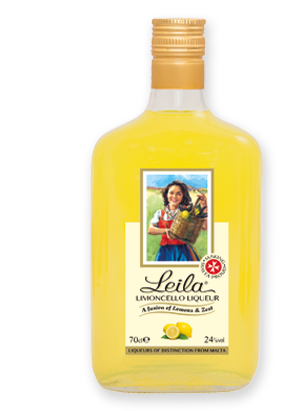 Leila Limoncello is a sweet, aromatic and refreshing liqueur made by the cold infusion of the zest of Mediterranean lemons. Whether you try it as an apéritif, a digestive or a cocktail, its sweet lemony flavor is crisp and addictive. It also makes a great addition to your cakes and bakes for that little extra zesty taste! 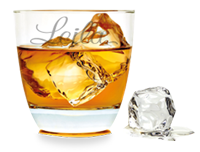 Tastes amazing just on its own and mixes well with most cocktails.